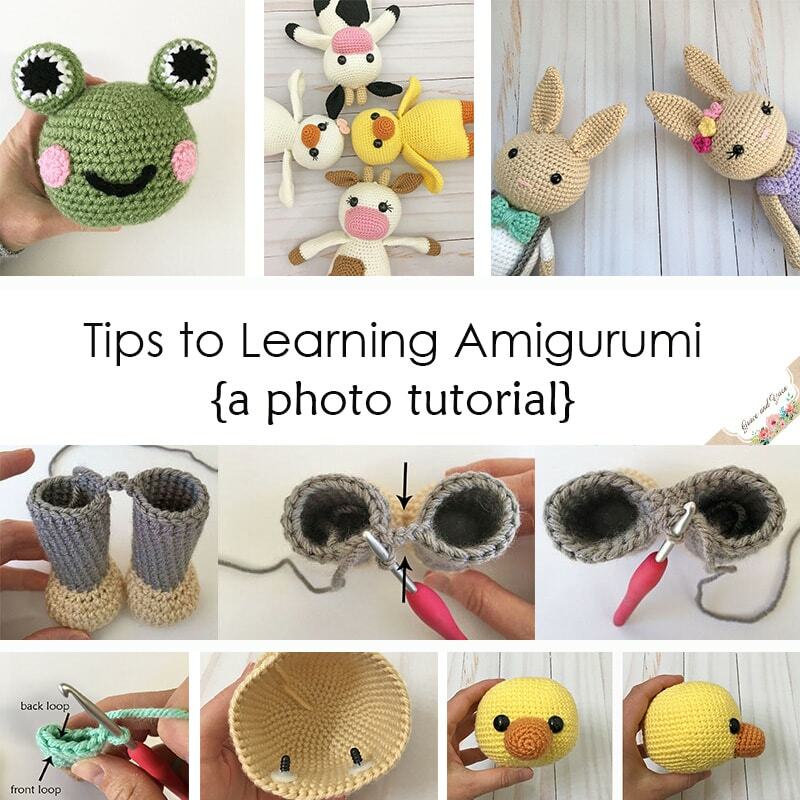 The second installment of the amigurumi minis are here! 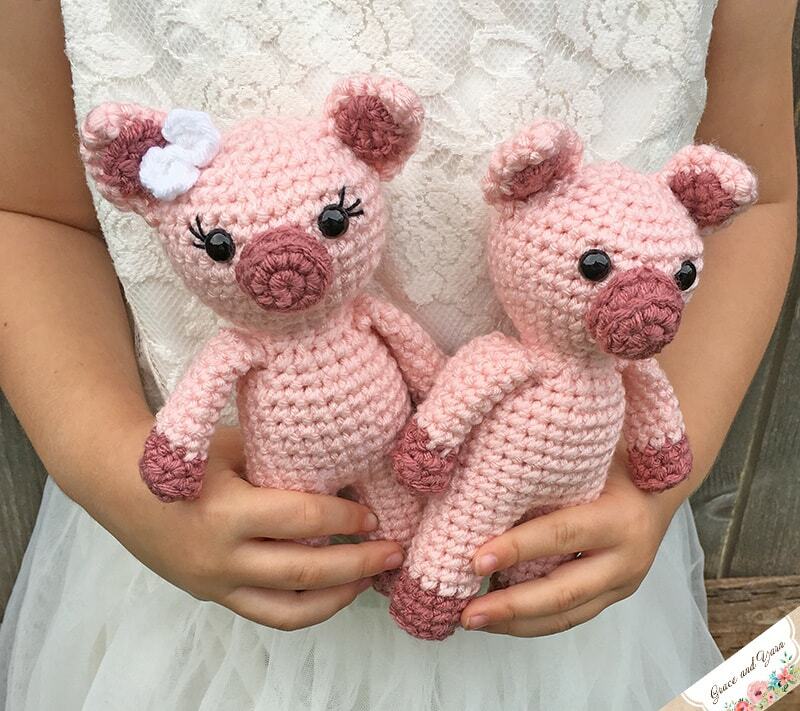 These sweet little piggies! After making the mini cows I had a hard time deciding which animal to make next. 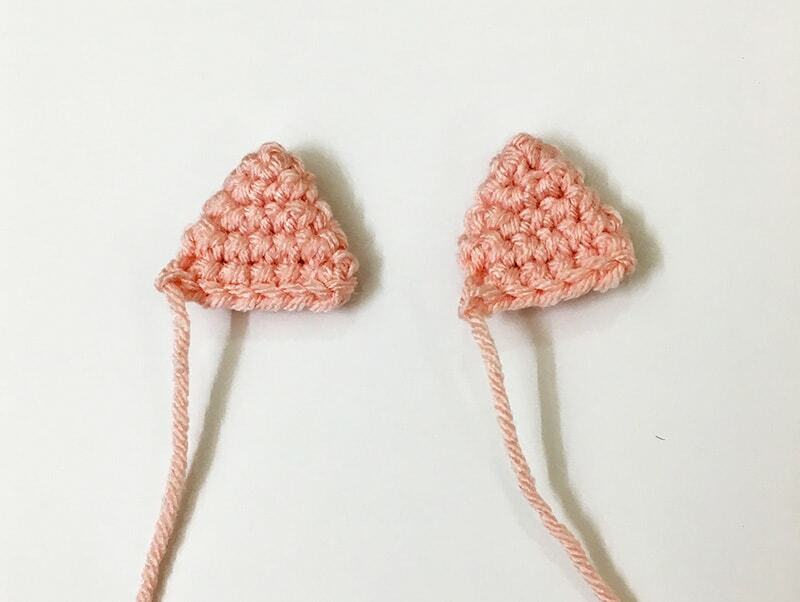 I noticed the farm theme needed to grow and thought these would be an adorable addition! The legs, body and head are all made as one piece, just like the mini cow. The small size (7 inches tall) helps the neck to still stay strong so you shouldn't end up with a wobbly head. They even have a cute little curly tail! I added a bow similar to the one used for Emma the Fox to give the girl pig a little extra detail. 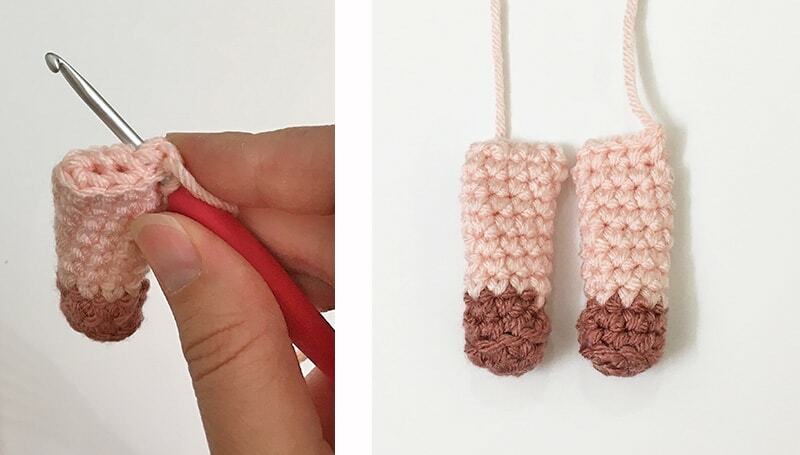 If you'd like to make the larger version you can find the free pattern here! - Grab the discounted bundle for the large and mini version here! 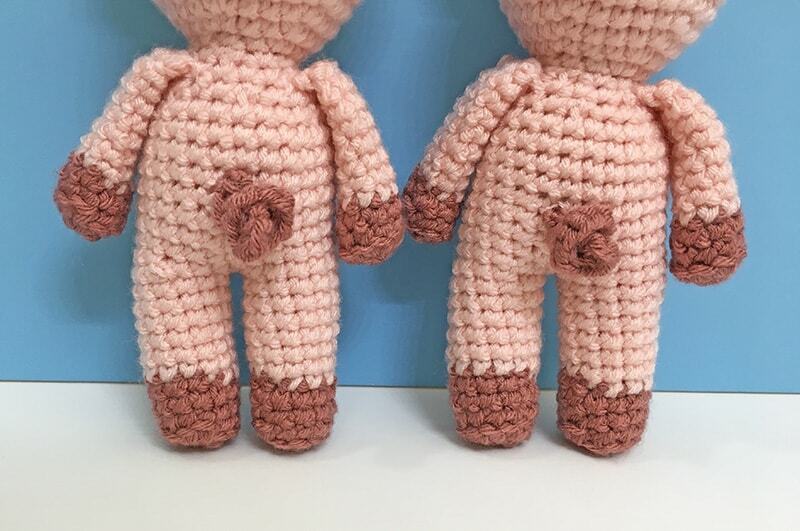 Round 13: Attach to the first leg with a SC (I like to make sure both color changes are facing the same way, I make this the back of the mini pig). SC around the first leg and then the second leg (24 SC) This completes your join and is where your next round will start, from here we will work the body. NOTE: Here is where we will attach the facial features. Place the safety eyes 4 stitches apart between rounds 31-32. (For the girl version, I recommend sewing on the eyelashes before securing your safety eyes). Sew the snout centered between the eyes. At the end of round 5 pinch the ear flat and make 6 SC across the top to close, fasten off and leave a long tail to sew onto the head. Working in a magic circle make 4 DCs, slip stitch, 4 DCs, and slip stitch again, pull your string tight and wrap it around the middle of the bow 3 times. Tie/secure in the back and cut your string leaving a long section to sew with. 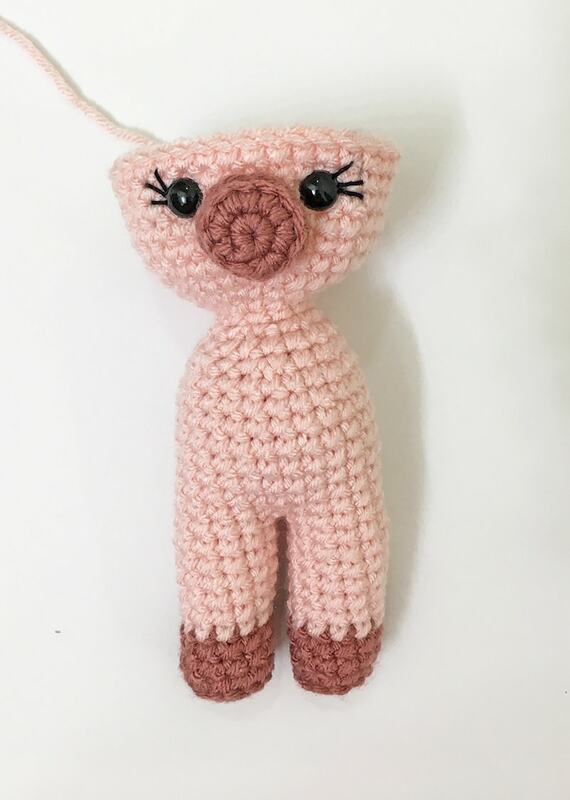 You now have a cute mini pig (or should I say piglet)! Thanks so much for stopping by, I hope you had as much fun making this as I did! Thank you! I love your little piglets, very cute need to go look at your little cows! Amazing!